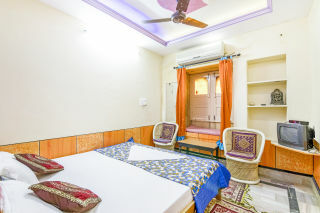 Situated 110 m from Jaisalmer Fort, this offering of a private room can accommodate up to three guests. Breakfast is complimentary here. Parking is available, as are the services of a caretaker. 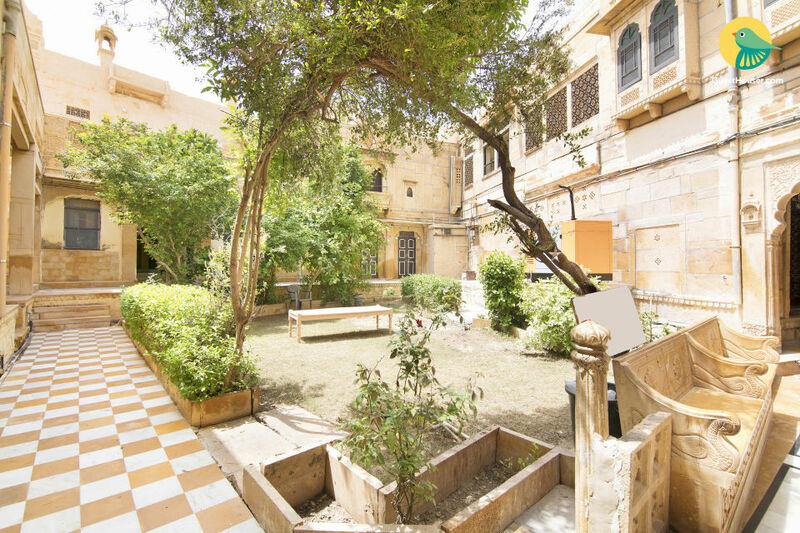 Your Space This place is located in the part of the palace of the Maharaja of Jaisalmer which was formerly used for the accommodation of the royal family guests. The heritage stay is about 400 years old and flaunts a stunning sandstone structure. The courtyard is lined with well-trimmed hedges and trees. The terrace commands a breath-taking view of the city. The al fresco sit-out has a vibrant canopy and ample cushioned seating. The private room on offer features a lilac accent wall which adds to the serenity. 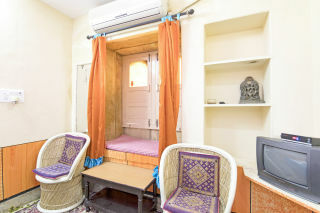 It is furnished with a comfy double bed, a television, a couple of cane chairs, a coffee table, and alcove shelves. The en suite bathroom is fitted with western sanitary ware.